Automatic Switch is also called automatic air switch. When the circuit has serious overload, short circuit and voltage loss and other faults, it can automatically cut off the fault circuit, effectively protecting the electrical equipment connected in series behind them. Under normal circumstances, the automatic switch can also connect and disconnect the circuit and control the motor to start directly. Therefore, the automatic switch is a commonly used protection circuit for low voltage circuits. 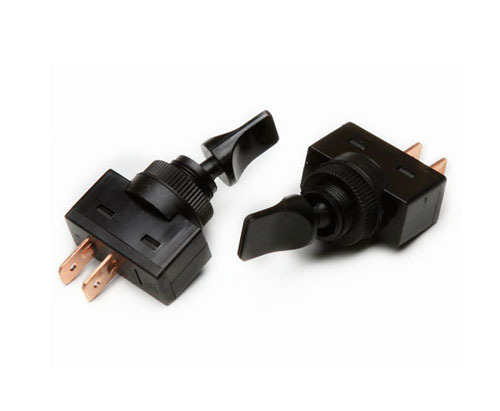 Looking for ideal Plastic Electical Automotive Switch Manufacturer & supplier ? We have a wide selection at great prices to help you get creative. All the Waterproof Automotive Push Button Switch are quality guaranteed. We are China Origin Factory of Momentary Ignition Starter Switch. If you have any question, please feel free to contact us.